After a brief hiatus, Theatre Talks returns to WordPress with news and updates since our last posting of November 20, 2014. The Brooklyn Theatre Index Volume III is now available at the Coney Island USA Gift Shop. Their website has not been updated but the book is available. Please ask. Need a special presentation for your organization? 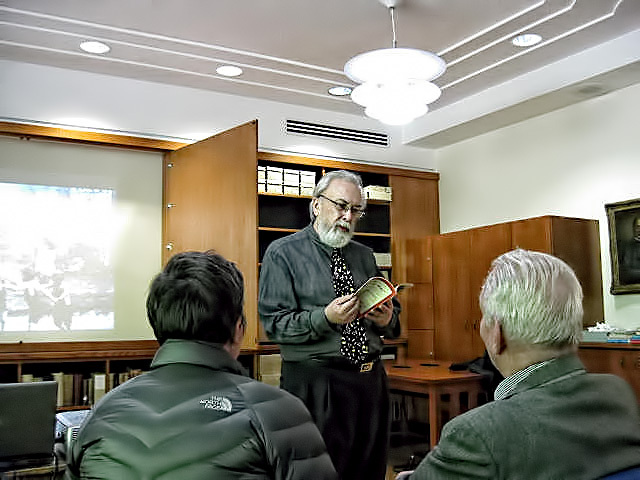 Cezar Del Valle has created a series of popular illustrated talks ideal for historical societies, libraries, senior centers, etc. Chatting with the audience before his talk at the Brooklyn Collection, Central Library. During the “Golden Age of Hollywood”, the major studios constructed large-scale movie palaces of extraordinary architectural beauty. Audiences could escape into a fantasy world beyond their wildest dreams of luxury and gilded glamor. 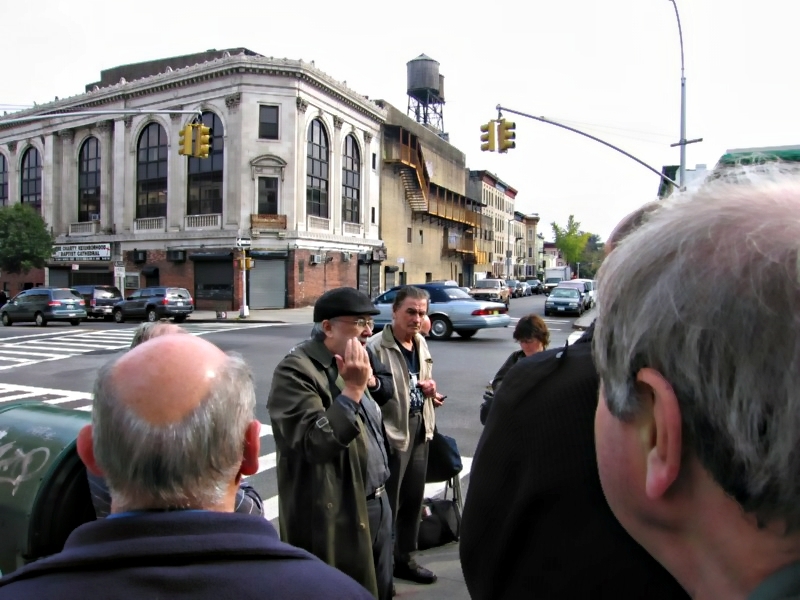 Del Valle invites you to Brooklyn’s “Sodom by the Sea” where Gary Grant walked on stilts, Harpo Marx made his stage début and where the music halls ran early & late. For more information and reviews visit our Theatre Talks website. Photo copyright Betty Sword, all rights reserved. 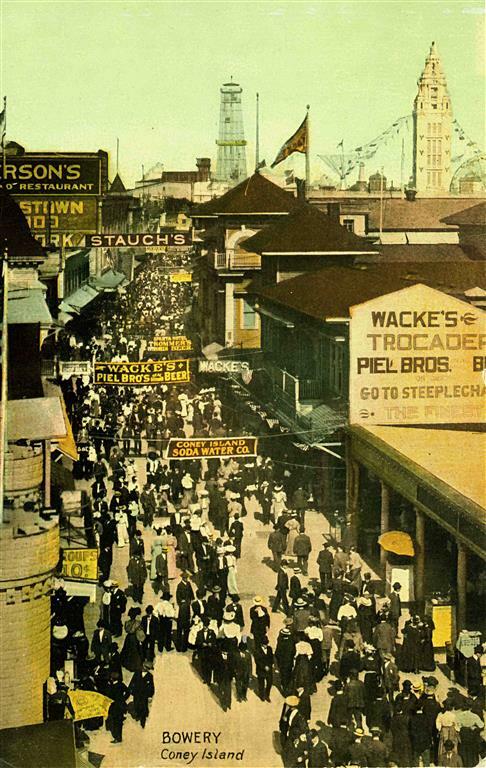 The book will be available in June 2014, just in time for the summer at Coney Island. “If you wanted to see more of the Bowery girls and witness their performance you entered and took a seat to be waited on at a table by a waiter who wore an apron and whose arms were bare. He was a busy fellow working on commission, and if you did not buy his beer fast enough to suit him, he did not hesitate to tell you some persons were waiting to take your seat. 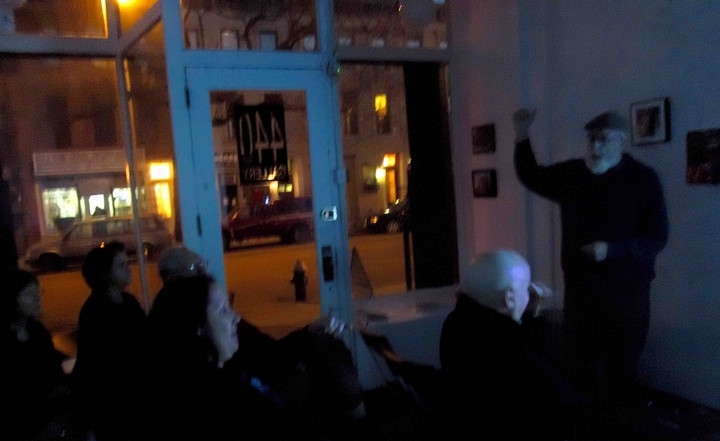 He is available for theatre talks and walks in 2014, historical societies, libraries, senior centers, etc. “One of the finest hippodromes in the country has just been completed by F. A. Young and John A. Feeney, oil men, in their home town of Okmulgee. 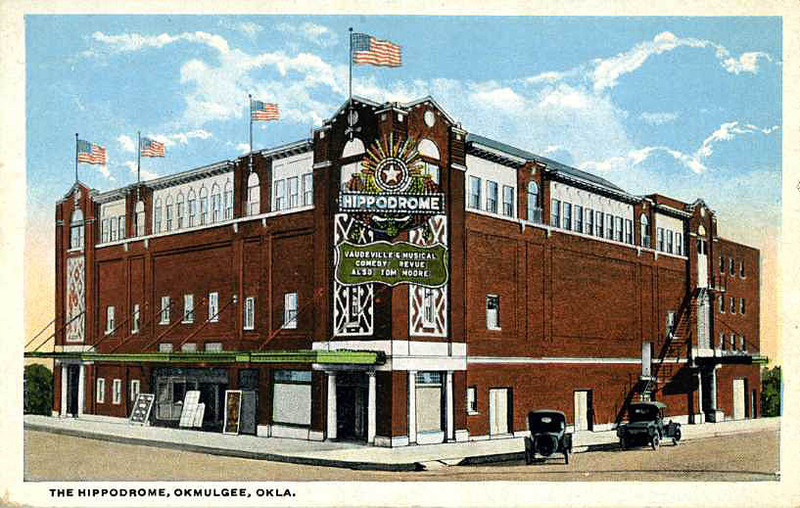 The building was constructed at an expense of $516,000 and is called the ‘Hippodrome Amusement Palace.’ It will be formally opened Sept. 30. “The structure has a seating capacity of 2,200 and is provided with a natatorium, a gymnasium, a dancing pavilion, a roof garden, a large cafe and a soft drink parlor, and is equipped with what is said to be the largest stage in the southwest. It will make Okmulgee a find convention city. 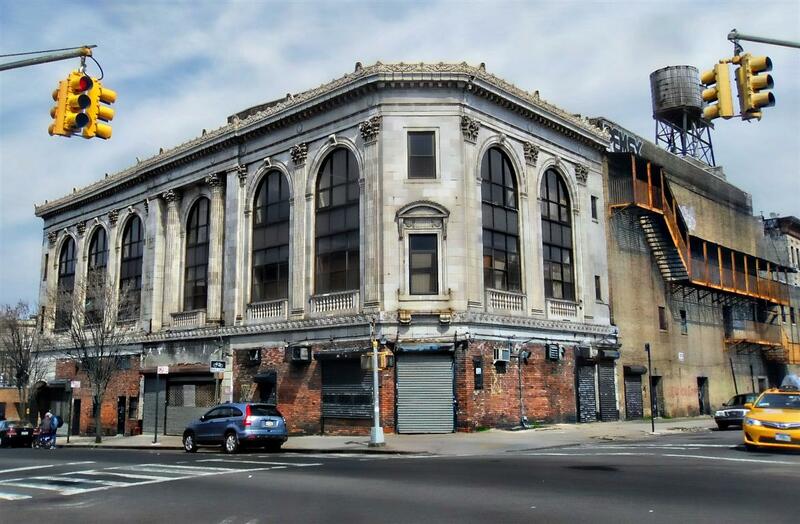 On October 23, 2012, the city approved an application for the “full demolition of theatre structure” at 1515 Bedford Avenue, Brooklyn, NY. Designed by Thomas Lamb, the 2,750 seat Savoy opened September 1, 1926 with the Fox film Fig Leaves plus six acts of vaudeville. 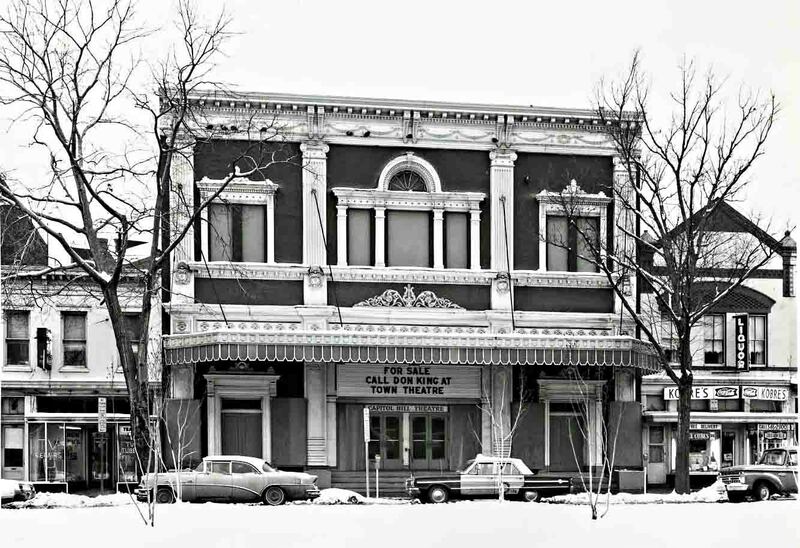 After closing in 1964, the Savoy became the Charity Neighborhood Baptist Church. Photographs copyright Betty Sword. All rights reserved. Photo part of the Theatre Talks collection, please ask permission to copy and/or use. 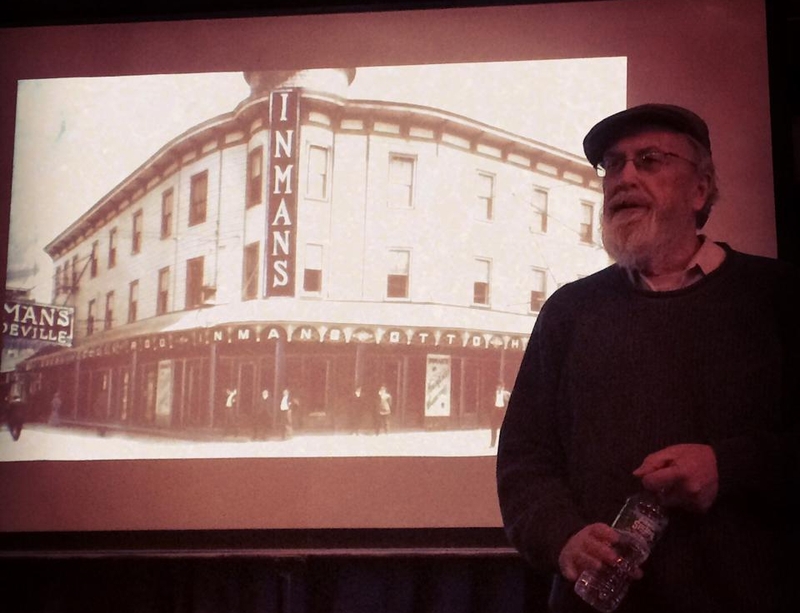 He is available for theatre walks and talks..
“Tomorrow night, the first large theatrical enterprise conceived for east Washington patronage will be inaugurated. 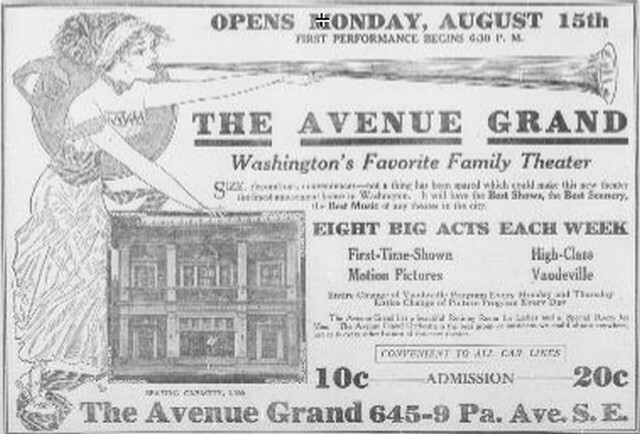 The Avenue Grand Theater, located at 645 to 649 Pennsylvania avenue southeast, will be opened and its first performances given. 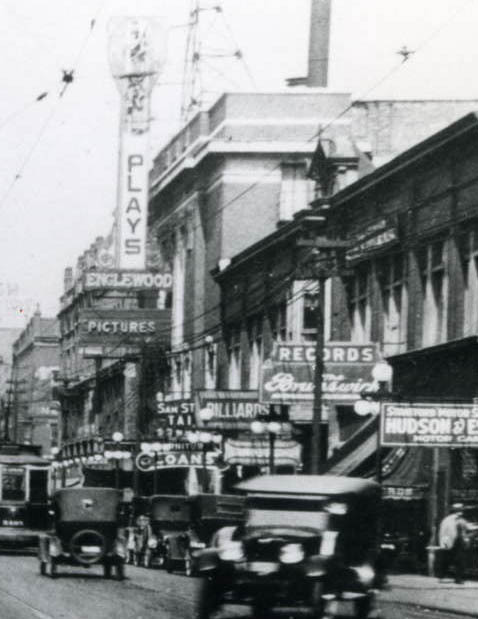 The theatre will offer high-class vaudeville, entirely new motion pictures, and a musical attractions. When I first went to the Avenue Grand as a kid in the 1950s, the theatre seemed run down, a bit seedy and reeking of age. This is where I saw, for the first time, the Universal “B” monster movies including Abbott and Costello Meet Frankenstein. 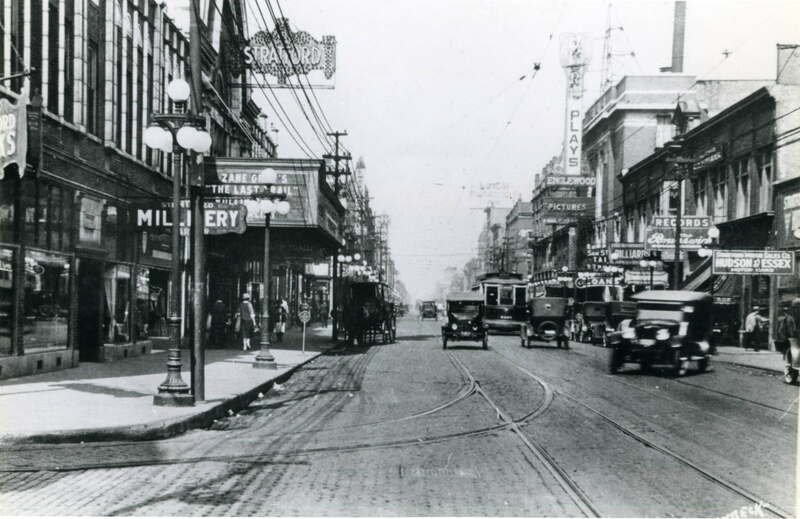 At some point in the mid 50s, the Avenue Grand became the Capitol Hill. After renovating the space, owner Don King opened on August 17th, 1967 with The King of Hearts. I was an usher that evening but over the next few months served as doorman, cashier, assistant manager and finally manager. Everything being a bit chaotic. Shortly after I moved on to a theatre in Arlington, Virginia, a “for sale” sign went up on the old Avenue Grand-Capitol Hill. A fire broke out in November 1970, destroying the interior. The last remnants of the burned out theatre razed soon afterwards. 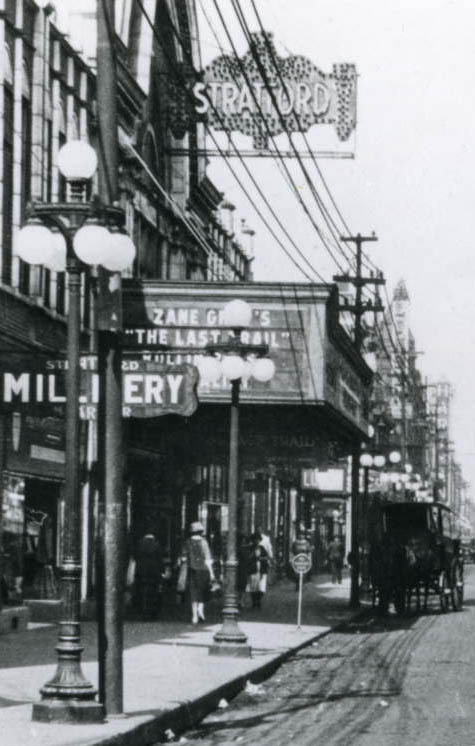 Photo of the Capitol Hill is from the Theatre Talks Collection. Please ask permission to copy and/or re-use. May 1973 stamped on the back of this reprint of a 1921 photo showing 63rd Street in Englewood, one of the 77 official community areas of Chicago, Illinois. It is often erroneously stated that Bob Hope made his professional début at the Stratford. A struggling vaudevillian, he worked as an emcee at the theatre in 1928, introducing the acts and telling jokes. Hope was such a success that his two-week booking extended to six months.